I hate cords. I think they are so ugly and I hate when they run across the floor. Tantrum over. So... in our living room area we have a side table next to our couch, but our couch is in the middle of the room. So to have a lamp on the side table... cord problem! So I've been sticking to having it just not plugged in and we don't need the extra light anyway. Its more "decorative" per se. 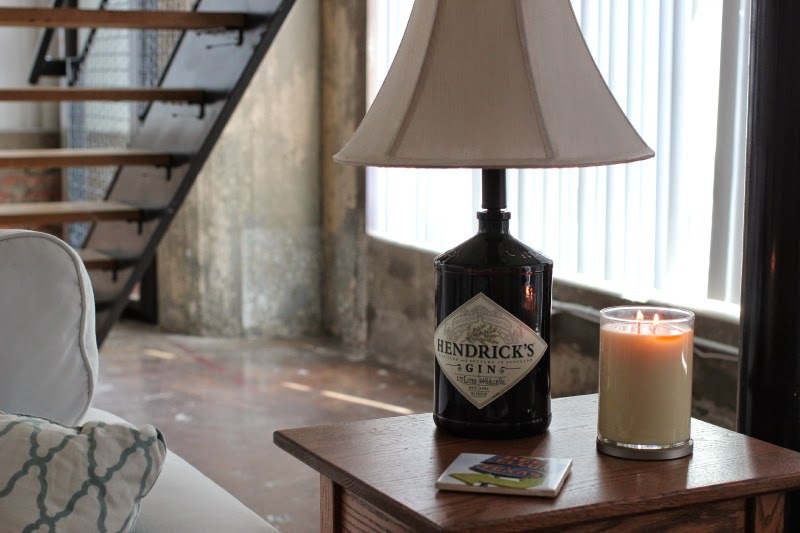 I decided my old light needed an upgrade, so I decided to take the top of my tattered light and taylor it with a big bottle of good ol' Hendricks gin. 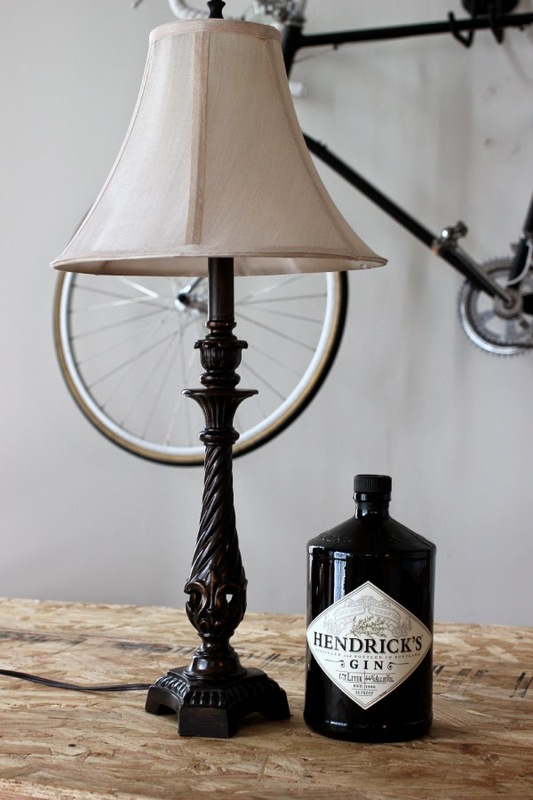 Take apart your lamp. You want to use the top half of your lamp, what I like to call the oh the technical "stick part". 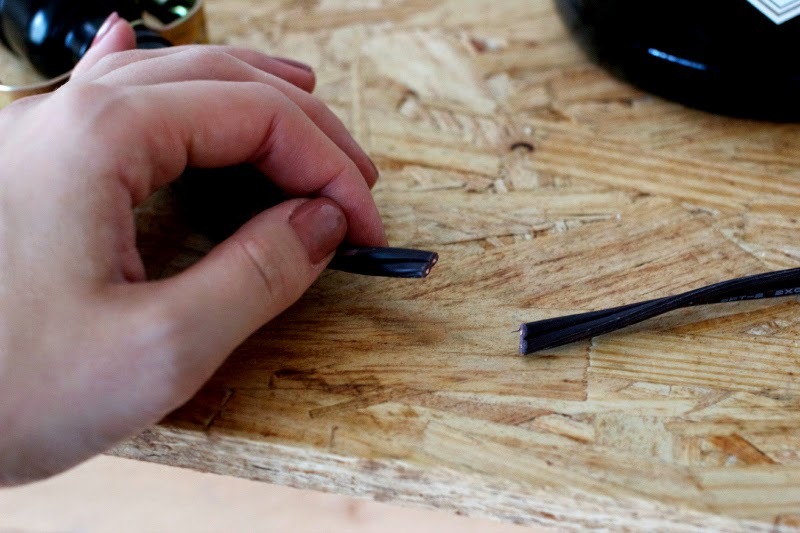 Clip the wire part using wire cutters. 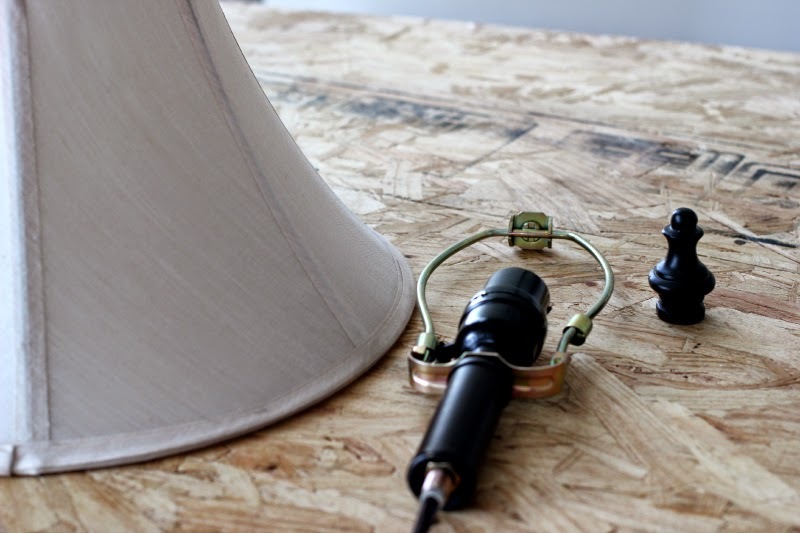 If its possible, keep the cord intact, but my lamp is purely "decorative". 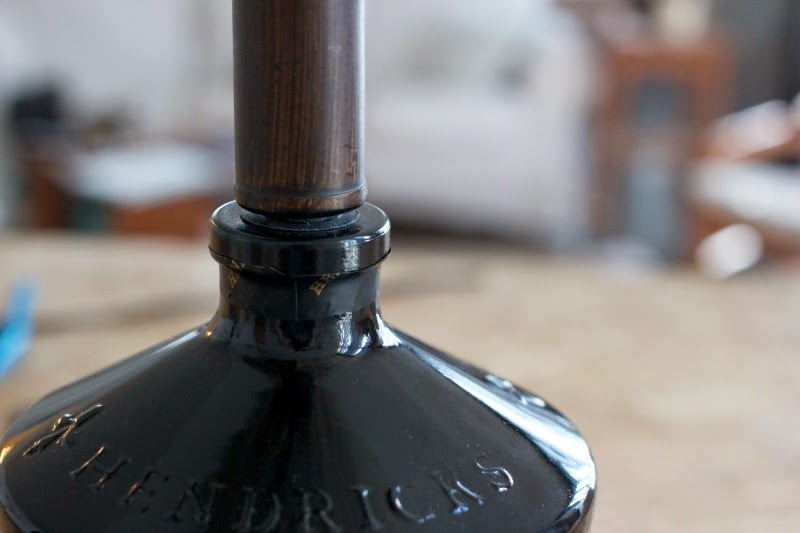 Slide the top half of your lamp into the bottle neck, use a glue gun to secure. 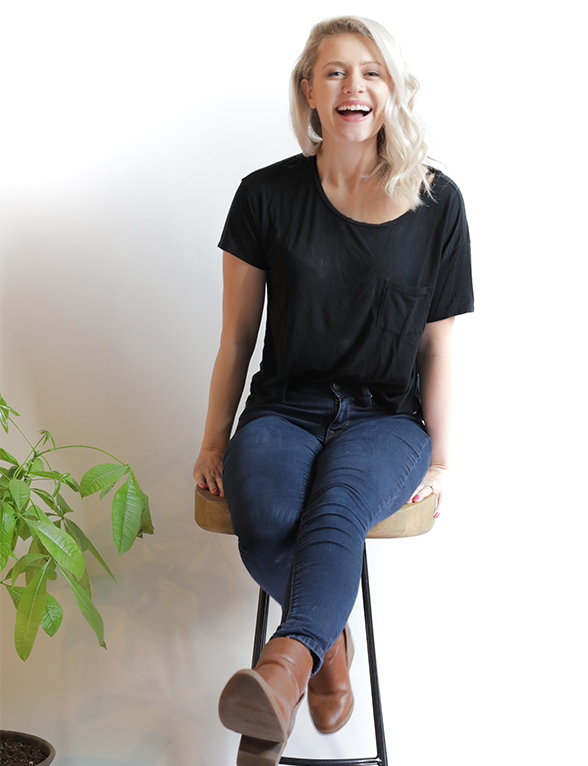 Top off your new lamp with a lampshade and you've just upgraded your decorative lamp.